KAMIS can reclaim Gold, Platinum, Palladium, Rhodium and Silver previously used and no longer needed by your organization for credit. The metal could have been purchased from KAMIS or from any other organization. We accept your metals in any form including a spent target, random pieces mixed with varies other metals and/or dust in a vacuum cleaned bag. 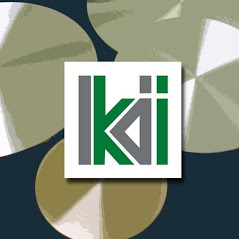 KAMIS will also accept metal even if it is coated onto anything such as a Silicon wafer or a crucible liner. After sending KAMIS your metal reclaim, we will return a % of the value based on The Wall Street Journal printed price on the day of reclaim, minus a $125.00 analytical charge. Reclaim values are currently 98% for Gold, 95% for Platinum and 90% for Silver. The final reclaim amount will be issued to your organization in the form of a check or a KAMIS credit to be used on a future purchase, whichever you choose. Contact KAMIS at 845-628-6173 to use our precious metal reclaim service or with any questions.